The origin of football (referred to as soccer by some) can be found in every corner of geography and history. 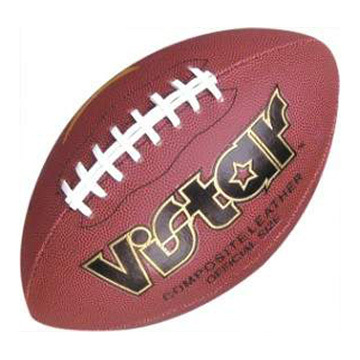 The Chinese , Japanese, Italian, Ancient Greek, Persian, Viking, and many more all played a ball game that resembled football. The Chinese "football" games date as far back as 3000 years ago. 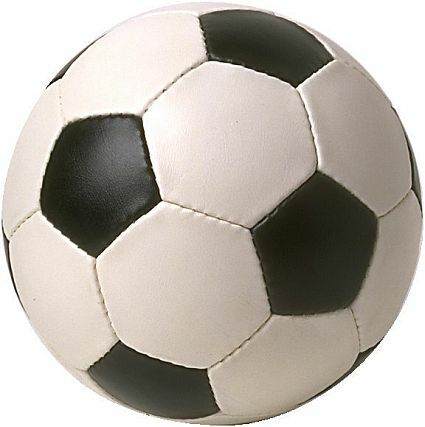 The Ancient Greeks and the Roman used football games to prepare warriors for battle. In south and Central America a game called "Tlatchi" once flourished. In the 'Freemasons' Tavern' in Great Queen Street, London on 26 October 1863 rules for the modern game were laid down over a series of meetings. Central to these meetings was 'Ebenezer Cobb Morley' (1831-1924) he wrote to Bell's Life newspaper proposing a governing body for the sport that led to the first meeting. He wanted a common set of rules so that clubs from all over the nation could compete with each other. Little did he know this would become the biggest sport in the world! The first official International match was held between Canada and United States in the year 1844. Main article. and secondly, obstructing such a run by hacking (kicking an opponent in the shins), tripping and holding (in other words fouling). Legend has it that one day in 1823, a senior school boy called William Webb Ellis elected to run with the ball rather than retiring to kick it as was the normal mode of play in Rugby School football matches. Other clubs followed this lead and did not join the FA but instead in 1871 formed the Rugby Football Union. 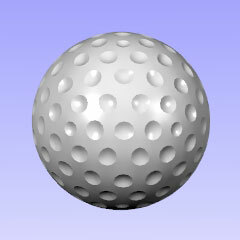 Hockey-like games involving sticks and balls have been played for thousands of years. Historical records show that a crude form of hockey was played in Egypt 4,000 years ago, and in Ethiopia around 1,000 BC. Hockey in England in the 17th and 18th century consisted of whole villages playing the game with the objective of hitting the ball into the opposing villages' common ground. Teams often consisted of 60 to 100 players and games occasionally lasted several days or so with injuries such as broken arms and legs not uncommon. 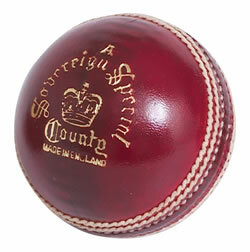 The game that we know today emerged at 'Eton College' in England in the 1860s when the first rules were written down. 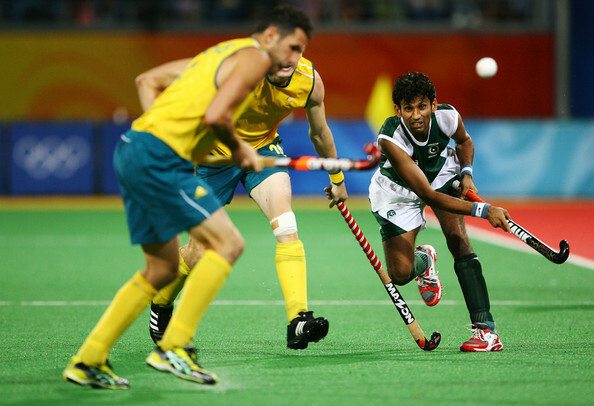 Further rules were written in 1875 when the first Hockey Association was formed. The game was played on a field nearly 200 metres in length and all players chased the ball for the whole of the game. London's 'Wimbledon Hockey Club' (organized 1883) standardized the game after the many centuries of informal play in England and it thereafter spread to other countries, particularly in Europe and the British empire. At this time British soldiers were taking the game around the world and in Canada, where frozen fields were more common than grass, it made its way onto ice and so Bandy Ice evolved. In 1886 the Teddington Cricket Club effectively lead a movement which resulted in the British Hockey Association being formed which included amongst its rules a striking circle for hitting goals. Changes in rules and play quickly developed from this beginning and by 1889 the pyramid system - five forwards, three halves, two backs and a goalkeeper became the accepted method of playing hockey. The United States also started playing field hockey in 1890, with the Field Hockey Association of America, which regulates men's play, being formed in 1930. Hockey, or "Field Hockey" as it is also known, is now played in every continent with many nations competing in the three major competitions - The Olympic Games, The World Cup and The Champion's Trophy. Rounders is predominantly an English game. The game has been played from the Tudor Times. The earliest nationally formalised rules of play were devised by the GAA in Ireland in 1884. In 1889, the Liverpool & Scottish Rounders Association was formed. It is typically a bat & ball team game. Rounders is still played in Ireland and England. 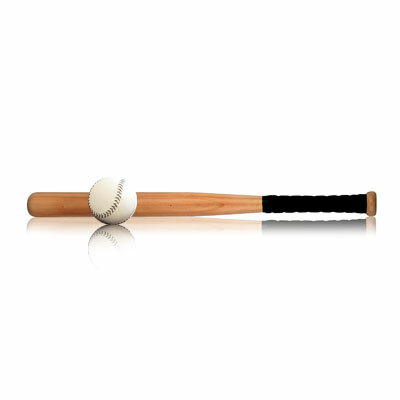 'Baseball' and 'Town-ball', are both bat and ball games, played by teams, that have originated from Rounders. Badminton came from a child's game called battledore and shuttlecock, in which two players hit a feathered shuttlecock back and forth with tiny rackets. The game was called "POONA" in India during the 18th Century, and British Army Officers stationed there brought the game back to England in the 1860's. 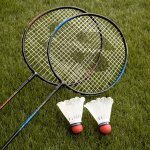 The army men introduced the game to friends, but the new sport was definitely launched there at a party given in 1873 by the Duke of Beaufort at his country place, "Badminton" in Gloucestershire. During that time, the game had no name, but it was referred to as "The Game of Badminton," and, thereupon, Badminton became its official name. In 1887 the modern rules were laid down. The Bath Badminton Club was setup and standardized the rules, that still guide the sport today. In 1895, the Badminton Association (of England) was formed to take over the authority of the Bath Badminton Club, and the new group made rules, which now govern the game throughout the world. The game was invented in 1859 by Major Thomas Harry Gem, a solicitor, and his friend Batista Pereira, a Spanish merchant, who both lived in Birmingham. They played it first on a lawn in the Edgbaston area, calling it ‘pelota’, after a Spanish ball game. One of the first real or royal tennis courts was built in Bedford Street to the North of the town in 1846 and survives to this day as a private club. 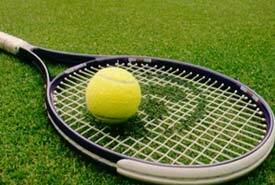 The earliest known form of the sport, called indoor tennis, was played in Victorian England among the upper-class as an after-dinner parlour game. In the early 1880s by British army officers in India and South Africa, using lids from cigar boxes as paddles and rounded corks from wine bottles as balls, with a row of books set up across the middle of a table to form the net. Another Englishman, E. C. Goode, in 1902 covered his wooden ping pong paddle with pebbled rubber, which allowed him to put spin on the ball. 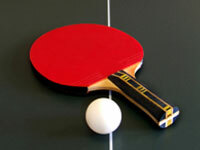 A Ping Pong Association was founded in England that year. 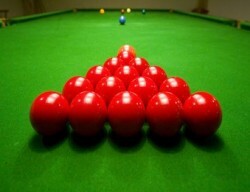 The game of snooker was invented by a Brit, 'Colonel Sir Neville Chamberlain' of the British Army garrisons of India. The game is believed to have came about as a mix of other billiard games, mainly English Billiards, this new billiard sport of snooker surfaced around 1875. The term snooker was used as a derogatory term for the first year recruits of the Royal Military Academy of Woolwich in England. For many years the game was known as 'Snookers Pool' and was played with a smaller number of balls and to very different scoring rules than the game we know today. Chris Baker of Bristol, England used an elastic rope to emulate and improve on a kind of urban vine jumping. 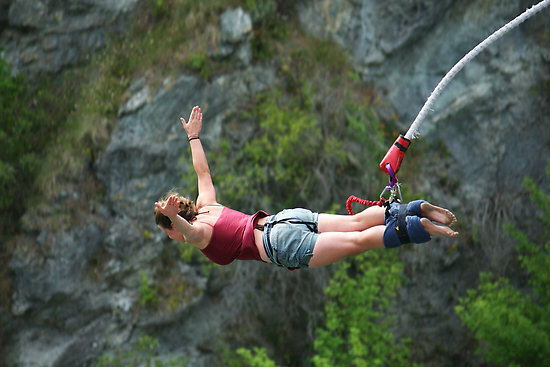 The first modern bungee jump was made on '1 April 1979' from the 250ft Clifton Suspension Bridge in 'Bristol', and was made by four members of the Dangerous Sports Club. The jumpers, led by David Kirke, were arrested shortly after, but continued with jumps in the US from the Golden Gate and Royal Gorge bridges. 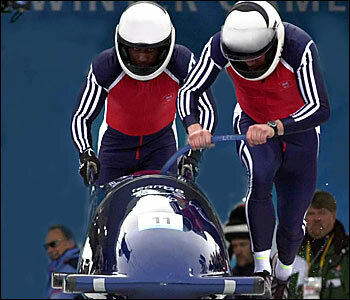 Bobsleigh, was surprisingly invented by the English. A group of holidaymakers in Switzerland in 1890, wanted to create a sled that could carry people down the snow-covered road between St Moritz and Celerina. They joined two sleds together. Sport's name comes from the way teams bobbed their heads to try and gain more speed. The new sport immediately caught on and a special track, complete with banked curves, made of ice, was constructed next to the road in 1902. The sport started as a leisure activity for the rich young daredevils of Europe who gathered for fun on the alpine slopes. It was added to the Winter Olympics as a four-man event at the Winter Olympics in Chamonix 1924 and two-man later at Lake Placid in 1932. 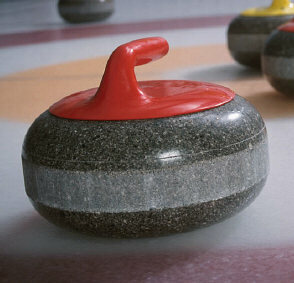 The game of curling was invented in late medieval Scotland, as evidenced by a curling stone inscribed with the date 1511, uncovered along with another bearing the date 1551, when an old pond was drained at Dunblane, Scotland. The first written reference to a contest using stones on ice coming from the records of Paisley Abbey, Renfrew, in February 1541. One of the national games of Scotland, it has spread to many countries. 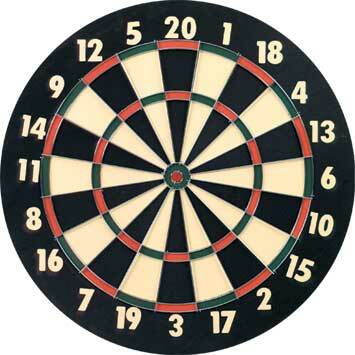 Darts began in Medieval England and is probably a spin off of archery. Played started on ships where room was restricted, by shortening arrows and throwing them at the bottom of an empty wine barrel. Henry VIII enjoyed the game immensely. So much so, that he was given a beautifully ornate set by Anne Boleyn. The game remained popular throughout the British Empire but it wasn't until somewhere around 1900 that the rules and darts began to look like the game we play today.